Robert Rauschenberg’s Chow Bags portfolio (1977) consists of six screen prints with graphite and plastic thread, each featuring a different domesticated animal. 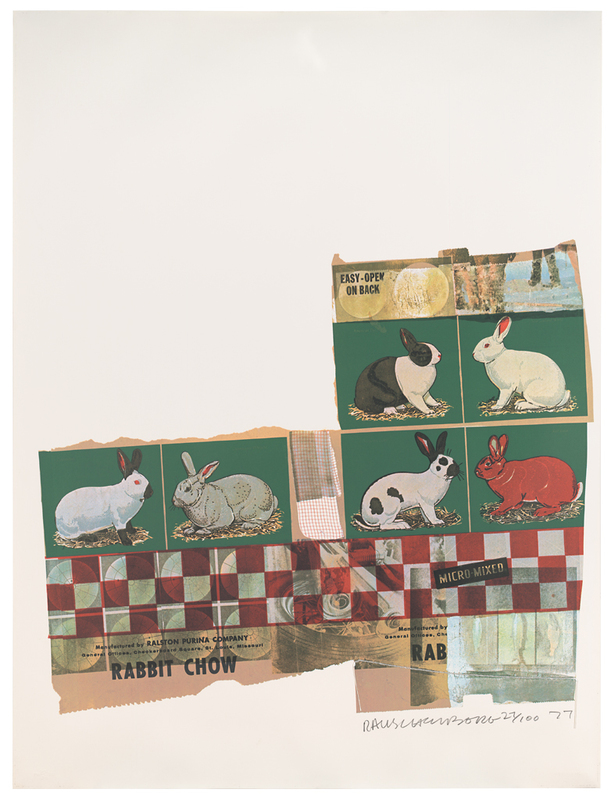 The prints are based on paper collages Rauschenberg created from actual bags of animal feed manufactured by Ralston Purina (now Purina Mills), a company best known for its Dog Chow and Cat Chow brands. The packaging for the less common feeds featured in Mink Chow, Goat Chow, Monkey Chow, Hog Chow, Rabbit Chow, and Calf Startena (based on a bag for a livestock feed supplemented with nutrients for early growth) shares the distinctive red-and-white checkered pattern made famous by Purina’s more familiar products. By incorporating this pattern and other prominent design elements of the bags, Rauschenberg’s Chow Bags call attention to the simultaneous familiarity and strangeness of Purina’s graphic identity. 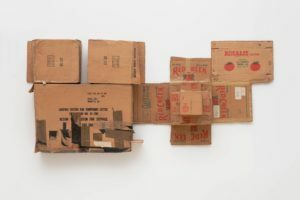 Although the artist selectively cut and partially flattened the paper feed bags to create his collages, he retained their rectangular shape and allowed this form to dictate the overall configuration of each print. The bold, graphic renderings of the animals at the center of these works are surrounded by various arrangements of fainter transfer images such as flowers and leaves, cars stuck in traffic, Coca-Cola bottles, and a woman’s glossy, manicured finger. The resulting compositions present the animals gazing out as in traditional portraiture, playfully framed by colorful graphics and strong geometric shapes. 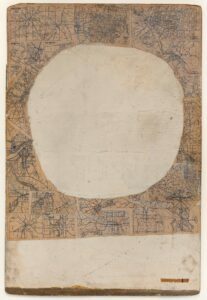 Photographs of the finished collages were used as the basis for the screen prints. After the silkscreen process, additional collage elements were applied to each print, including small pieces of fabric and plastic stitching that mimics the pull-strings used to open feed bags. The Chow Bags series was printed by Styria Studio in New York, and issued in an edition of 100. Karen Tsujimoto, Rauschenberg/Rosenquist (San Francisco: Art Museum Association, 1982). Lewis Kachur, Past Pop: Robert Rauschenberg and James Rosenquist Graphics (Union, NJ: Kean University, 2009). This listing documents select references that provide general information about the series. It has been reviewed and is complete as of August 31, 2016.